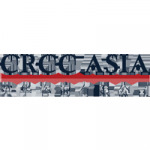 CRCC Asia is a global company, with offices in the USA, UK, Australia, and China. We provide students and graduates from around the world a platform to develop personally and professionally by facilitating work experience and internship programs in China, Japan, Vietnam and the UK. We’ve been running for 11 years and have a 7000+ alumni network of previous participants. We are proud to be the leading provider in the industry.